Hello my beautiful readers. Welcome to Cosmetics arena. Yesterday I made a simple herbal hair rinser. You may think that I belong to a premitive age because I don’t use conditioners. 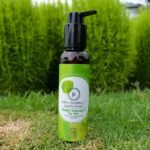 But, the truth is I have found that home made herbal rinsers are more nourishing and they are minus the harmful chemicals. According to hair types and types of problems, varieties of hair rinsers can be made at home. I made Aloevera Tea Hair Rinser. You can store it in refrigerator for a week. As for preservatives, Vitamin E oil can be used because Aloe Vera is prone to mould growths. Now, let us take a look at the process. At first boil water, then add the tea leaves or tea bags within the bowl. 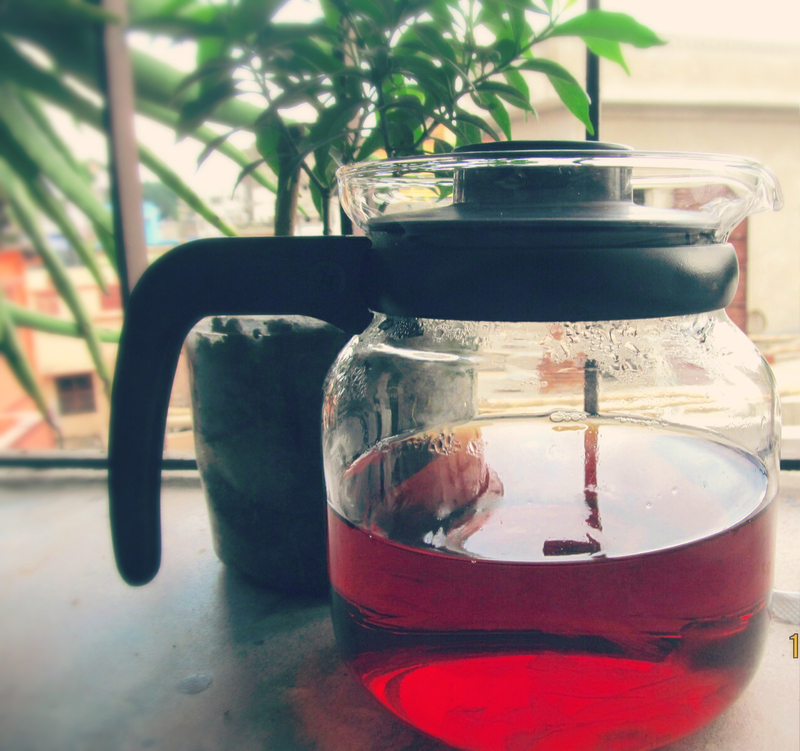 Wait for 10 to 15 minutes so that all the properties of tea get infused within water. Next add aloe vera juice. And let it be cool. Do not use the hot mixture after shampoo ever because it will further make your hair dry and will strip off all the moisture from hair. Now, let us go through the pros and cons. 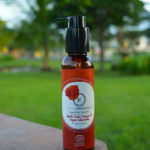 Shampoo strips off the essential moisture from hair, a herbal rinse restores it and maintains the acidic nature of scalp. 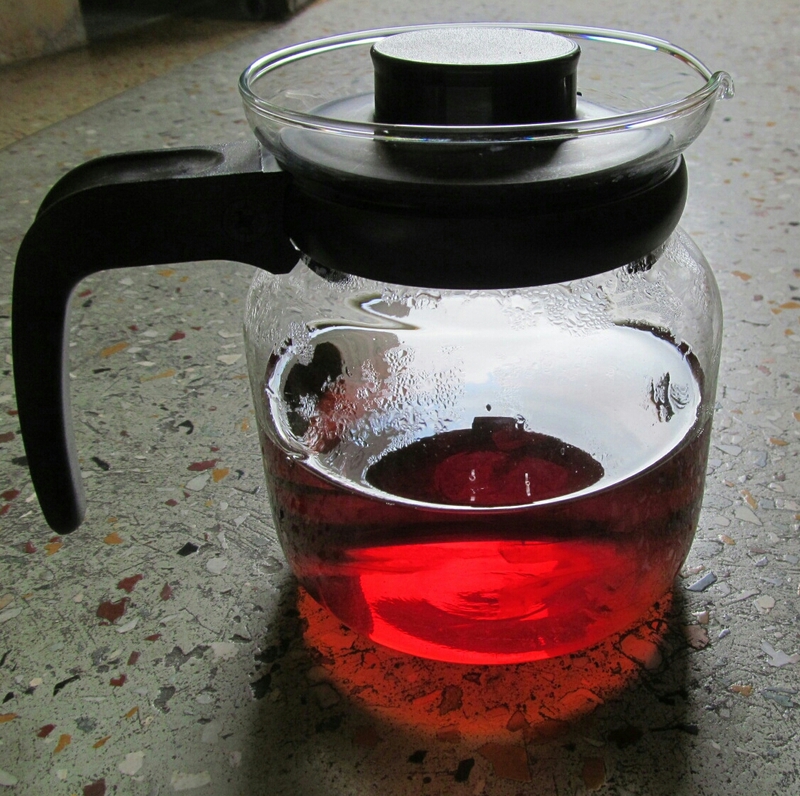 A tea rinse is acidic to neautal in nature. Why I used Tea? Tea has 3 essential components which are: Amino acids( strengthen hair), Polyphenols and Caffeine( Stimulates growth). The pH value of tea indicates its acidic nature which is another big reason behind using it. Aloe Vera: Maintains pH value, Stops hairfall, makes hair shiny and smooth. 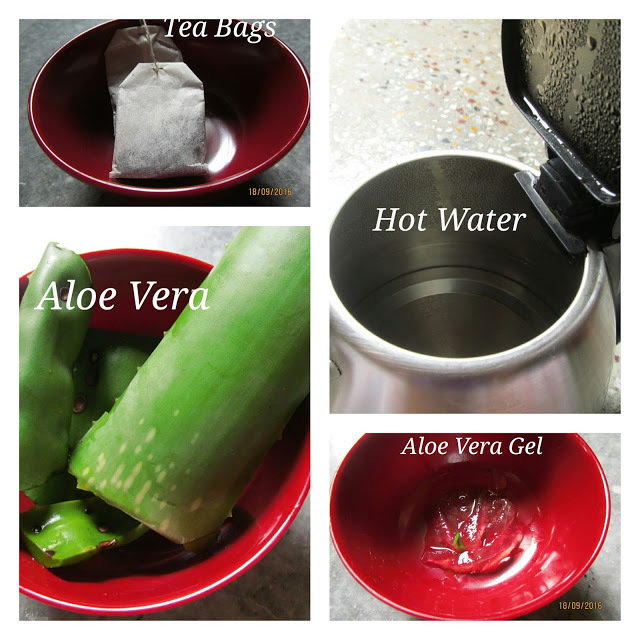 Cons: Because Aloe vera is prone to moulds, this mixture can not be stored for a long time without preservatives.